Panacea Business Systems, Office Printing and Photocopying. We can offer outright printer and photocopier sales, or an affordable monthly printer and photocopier rental, whichever best suits your situation. 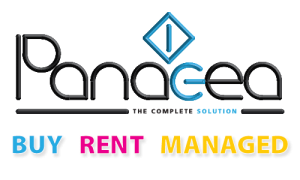 Our comprehensive service management package is available whether you buy or rent. We supply printers, copiers and scanners throughout Herefordshire, Gloucestershire, Worcestershire and the surrounding counties. We can tailor our service around a stand alone photocopier or a full fleet of printers for your offices, or a mixture of both. We offer a suite of print management solutions to cater for all requirements no matter how large or small, including mobile print, print accounting and print cost tracking as well as output, document and device management. 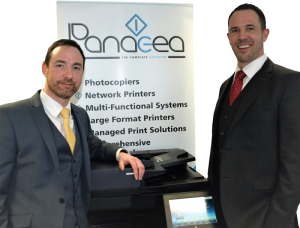 With thirty years’ experience, the team at Panacea Business Systems will work with you and advise you on a tailored printer solution to meet your office printing requirements. Whilst being at the leading edge in modern printer technology we do not forget the traditional values that so many organisations in the modern world do: ‘the customer comes first’. Ross Farm Machinery (RFM) have found printers and copiers to be one of those items that are essential and at the same time frustrating to manage. When RFM first came across Panacea there was one managed MFC amongst their printing solution, and RFM were becoming convinced of the merits of a managed printing service. Panacea were keen to demonstrate the ability of the Kyocera machines and quickly convinced RFM that the product and their service would meet our needs. 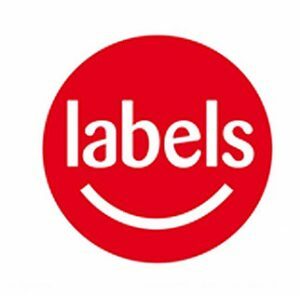 Since then RFM have continued to place their business with Panacea and now 80% of the laser printing solution is provided by Panacea – the other 20% is made up of machines that will be phased out once their consumables have been used. The staff at Panacea are always polite and helpful and we have benefited from having support on site quickly as a result of the managed solution. St Edward’s School is an independent co-educational school in Cheltenham with around 500 pupils across two sites. We strive to keep our IT systems up-to-date to meet the demands of both teachers and pupils and are constantly on the look-out for innovative solutions for our school. Approximately 3 years ago we were ready to review our print solutions provider and after careful consideration chose Panacea. Under their guidance, we have moved away from Xerox and Canon printers in favour of Kyocera Devices (which were at that time unknown to us). Three years on we can whole-heartily say that these printers are more reliable than previous brands we have used, more cost effective due to the integrated papercut solution, easy to use with automatic toner ordering and automatic meter reading of the printer usage as well as the ability to monitor and tailor our print costs. We can fully recommend Panacea as a print solutions company. Panacea recommended a great solution, taking into account our business needs rather than their need to sell. We have a managed print solution in place which spans across our ten sites, the level of support and service we get is first rate. From our initial contact with Panacea to discuss our printer and photocopier requirements for our large primary school, Panacea provided time and attention to detail and assess our needs. This resulted in an exercise to identify how we could save money and exploration of machines that could streamline our printing/copying and the introduction of pin code printing to reduce wastage. Once we were happy with the quotation for two machines, delivery and installation dates were agreed, and took place seamlessly, to include training staff members. This was during the summer of 2015, and we have been delighted with the service provided by Panacea and Kyocera, who are always prompt with any call out requirements. We were so impressed with the high level of service we subsequently chose Panacea to install new machines at another two schools in our Multi Academy Trust. We thoroughly recommend Panacea for their provision of a professional service. I would not hesitate to recommend Panacea for the excellent quality and service they provide. I would like to congratulate the team on the outstanding service they provide, both before and after installation of the printer. They have a very warm rapport with our Colleagues and are approachable for any help or advice. We have been very impressed with the friendliness and responsiveness in all our requirements and would highly recommend Panacea Business Systems Ltd to anyone, for their excellent first class service. Look forward to working with them in the future. GREAT job! Panacea will work with you to ensure that your solution is right first time, from consultancy through to delivery and training. Contact our experienced team to discuss your requirements today. Want to know when we have news on our latest product? Sign up for our blog updates now!